District Pavilion and flexible playing fields. Junior pavilion and 18 multi-purpose hard courts. 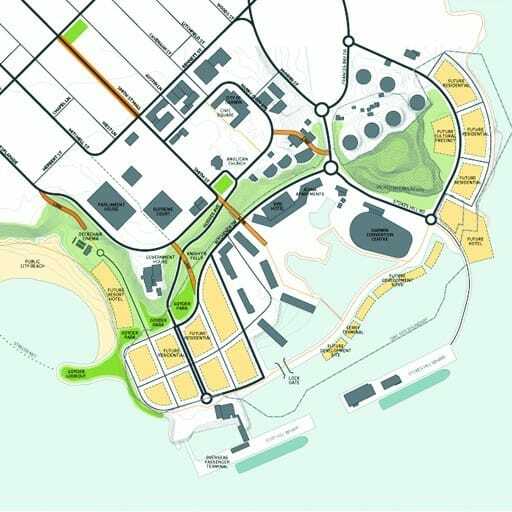 Centralised community hub with Indoor Recreation Centre (3 courts), cafe, nature play, and skate park. Raised central pedestrian spine which connects all key site elements. Informal recreational path network connecting to retained vegetation. 450 parking bays. 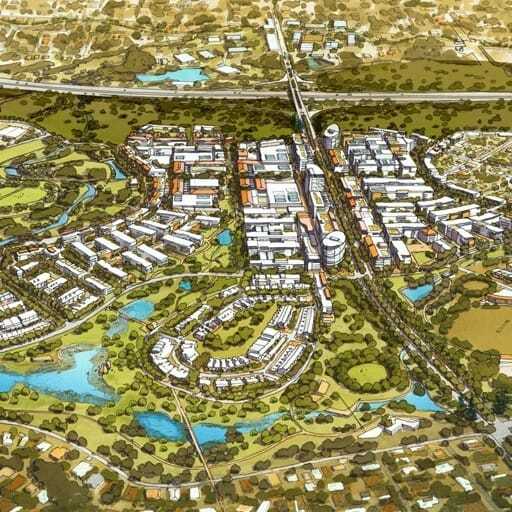 Baldivis is one of the fastest growing suburbs in Perth and this significant population growth has created increased demand for sport and recreation facilities in an area currently under-provided for. 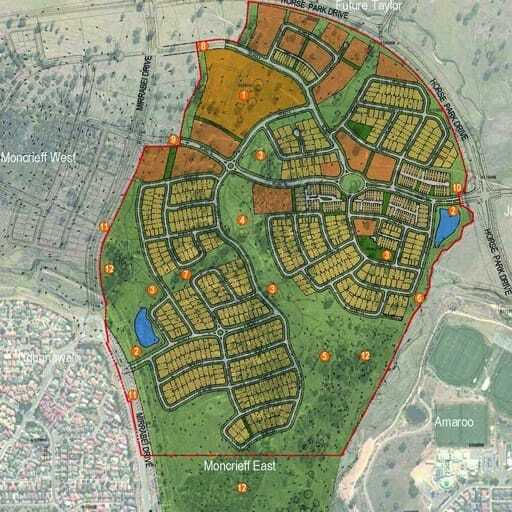 To deliver new facilities to meet this demand the City of Rockingham purchased a 19.4 hectare site which is to be the home of the Baldivis District Sporting Complex. 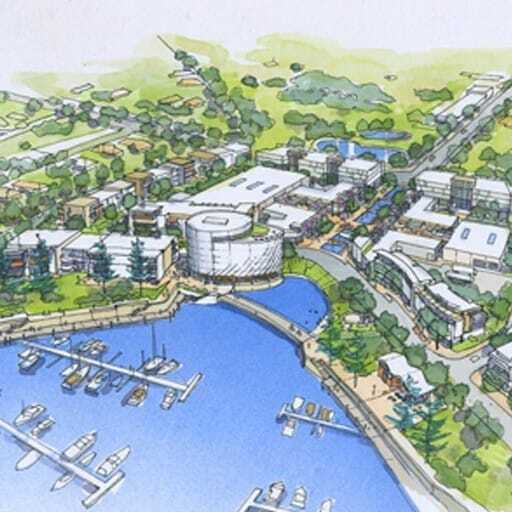 Hames Sharley led a interdisciplinary team in the preparation of a detailed master plan for the site. 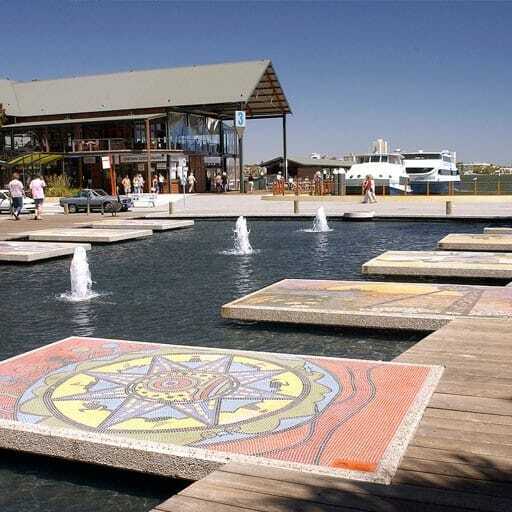 The design process considered a number of key features such as environmentally significant vegetation (including over 500 trees), unique landform, wetland buffer, bushfire setbacks, and existing residential interface issues. The team undertook rigorous analysis including a review of the site and its surrounding context, sporting participation trends, benchmarking and concept options testing. 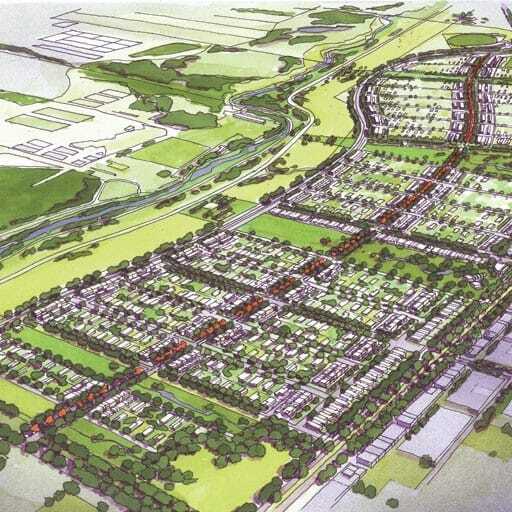 The result of which culminated in the preparation of a master plan design which balanced site responsiveness (approximately 65% of vegetation was retained) and functionality, whilst responding to specific stakeholder aspirations. Hames Sharley also prepared architectural concepts for three buildings which included an Indoor Recreation Centre (3,500 m2), District Pavilion (1,400 m2), and Junior Pavilion (400 m2). These facilities included a variety of change rooms, storage, social spaces and kiosk facilities suitable for both private club and community use. Civil and architectural design/construction to commence in 2019/20 and 2020/21 respectively.